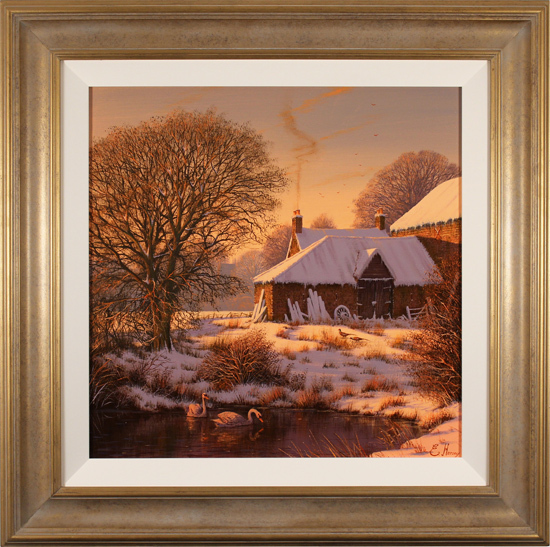 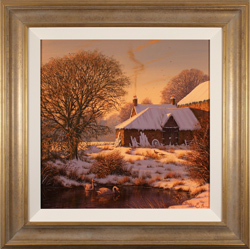 Evening Glow is a radiant example of the rose-hued snow scenes for which Edward Hersey has become renowned. 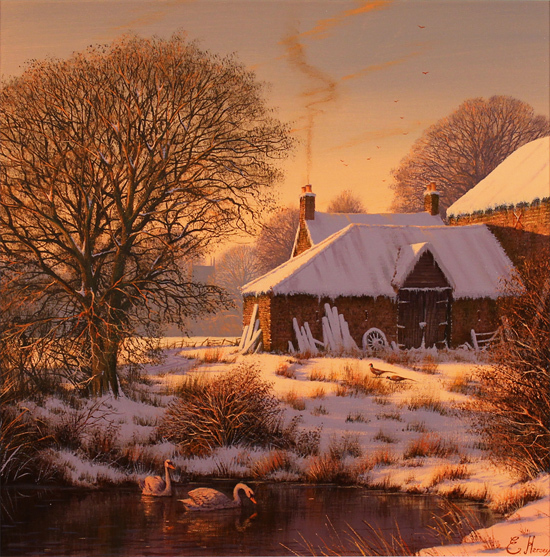 As the winter sun begins to sink, all but a pair of roaming pheasants and feeding swans have retreated into the warmth of the farm cottage. 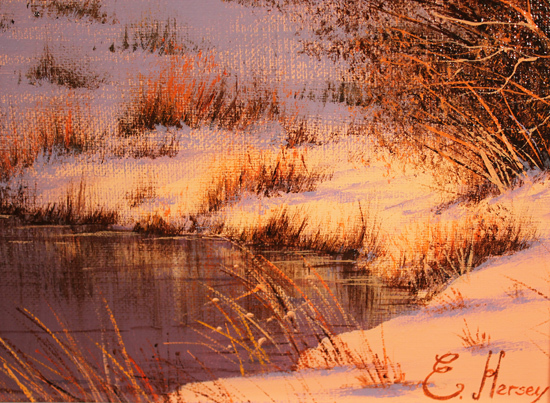 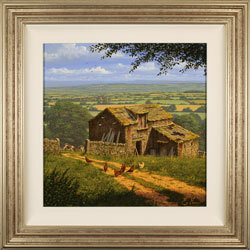 The scene is flushed with the glow of the setting sun and the promise of an evening by the fireside.